Despite negotiating through the night to save fisheries in Europe it is becoming clear that certain European Union countries are using bullying tactics that will result in overfishing. Brussels, Belgium: Despite negotiating through the night to save fisheries in Europe it is becoming clear that certain European Union (EU) countries with large fishing industries, supported by the Irish Presidency, are using bullying tactics with members of the European Parliament (MEP) to push them into accepting a deal that will result in overfishing until 2020, and does little to support coastal communities. Threats by some fisheries ministers to walk out of negotiations and abandon the whole Common Fisheries Policy reform are a slap in the face of the widespread public support for an ambitious deal which spurred an overwhelming majority of over 500 MEPs in favour of strong reform earlier this year. WWF calls on the fisheries ministers and the European Parliament to agree on the fastest full recovery targets for fishery stocks. They have it within their powers to ensure that discards, fishing subsidies and stock management are addressed immediately and effectively so that we can reverse, within ten years, the situation where almost two out of three assessed stocks are at crisis level. “This is not just the view of WWF, it is also held by progressive fishermen, scientists, industry and the public who all want real and sustainable reform. This deal will guide EU fisheries policy for the next 10 years and in the current situation of depleted fish stocks, we may not have another chance to get it right.” Andrea Kohl, Programme Director with the WWF European Policy Office. 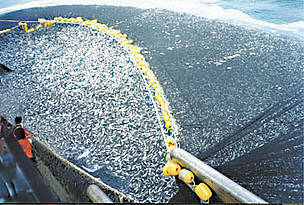 Nearly two out of three assessed fish stocks in Europe are overfished. WWF believes that the current reform of the EU's Common Fisheries Policy must aim to ensure that by 2020 no more stocks are overfished through meaningful reform of the Common Fisheries Policy. Building on a draft European Commission plan, the European Parliament adopted a legislative proposal in February with an overwhelming majority that would end overfishing in Europe. According to recent research, the current position of the European fisheries ministers, would allow overfishing to continue for more than 100 years. Ministers and Mrs Rodust, should respect their democratic mandate and look for real compromise in negotiations this week. In the trilogue negotiations, the Council of Ministers of the 27 EU fisheries ministers is represented by Simon Coveney, Irish Minister for Agriculture, Food and Marine Affairs, who holds the Presidency of the Council and speaks for all of the EU’s fisheries ministers. The European Parliament is represented in the negotiations by Ulrike Rodust, rapporteur of the reform of the Common Fisheries Policy and a member of the European Parliament. The Council of Ministers is not willing to negotiate with the parliament on an equal basis, as provided by the Lisbon Treaty, and is trying to force the parliament to drop its ambitions to achieve a swift recovery of fish stocks, and accept a reform that will continue the status quo. Otherwise, they threaten to stop the entire reform process.